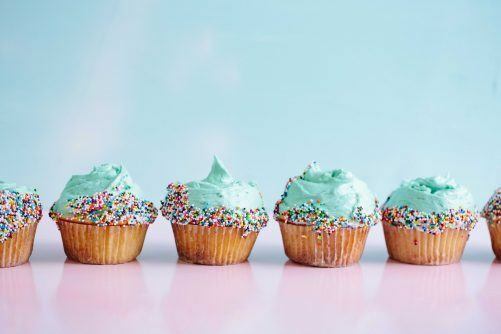 When it comes to dieting, diet plans or being consistent with healthy eating and exercise, most of us think that willpower is the way to stay on track, avoid temptation and keep going strong. ​Willpower is one of those things...we think if we have it and engage it, we can stay on track with our diet plan, exercise, not eating crap, whatever, but the truth is, willpower tends to be a precursor to "failing." It doesn't stick around long and it's very fleeting. Stay with me here. Yes, the dictionary does describe willpower as the ability to control yourself; strong determination that allows you to do something different. Yet, how many times have you told yourself, "I'm going to be strong and not eat the whole pint of ice cream, or half a bag of cookies, or a whole bag of chips?" Or, you start a new diet plan, you do well, lose weight and then gain it all back, and more. Or you eat healthy for a month, then you slip up once, so you throw it all out the window and you feel icky about yourself? And what happens? Willpower fails you! Or, more accurately, your sabotaging, unaddressed behaviors fail you. You rest on the laurels of your "strength," yet you haven't looked at WHY you make the choices you do, what leads you to believe you need willpower and how your inner belief system is really running the show. Willpower is NOT enough OR something to rely on when it comes to food and diet plans, especially. ​Most of us have values in our life, especially when it comes to being healthy. I've NEVER (and I don't use that word lightly,) come across anyone who has told me they don't care about their health. So, it's important to know your values when it comes to your health and wellness. ​​​​Commitment is huge when it comes to your health and eating. Start by asking yourself if you are you committed to being the healthiest you can be? Are you ​more committed to your freedom than you are to eating crappy food? Are you committed to taking impeccable care of yourself? Are you committed to treating your body with respect? And, can you forgive yourself and not beat yourself up or criticize yourself when you make a so-called "bad" food choice that could send you into a spiral? Knowing your values, living by them and being committed to them will keep you present with what's important in your life. By connecting to and writing down your top 3 core values, and posting them where you can see them each day, you will be reminded of what's truly important to you. I know how crappy it can feel to be out of integrity my values, and I'm sure you do to. Every time you make a choice, ask yourself if that choice is in alignment with your core values. Intention is super important when it comes to your health and eating. Before I head out to a party or sit down at the table to eat my meal, I check in with myself to be sure I am present and aware. Intention is powerful because it helps us to stay focused on the present, and connected to our values. For example, before you go to a party, what is your intention? Or when it comes to eating over the holidays? ​Focus on the positive, ​and what you want to experience, versus what you DON'T want to experience. Setting a clear, positive intention will help. It's very similar to setting goals. For example, when I go to a party where I know there will be a table full of yummy, tempting food, I set an intention to connect with at least one person, and ask them about their life/day. This gives me another focus besides food, especially in a situation where I might be uncomfortable. Taking empowered action is the most important thing when it comes to how we shift our relationship to food. Because we cannot rely on willpower, we must make a choice (which is an action) in the moment. By doing this, we can feel more empowered. ​Remember, you are the ONLY one who has a choice about what you put in your body. This is not willpower, this is choice. ​You get to decide for yourself if you want to put ​food in your body that doesn't feel good, or overeat, drink too much, and so on. If you do, then you are choosing that. If you want to feel more empowered, take a ​different action than you normally would. For example, if you normally stand by the buffet table and nibble on all the food until you are stuffed and sick, make up a plate instead and go sit down somewhere away from the table and eat slowly. ​By doing this, you will start to make new brain grooves and shift your old behaviors over time. AND, if you do ​it consistently, ​these​ intentional actions will become new habits. ​I know that making change can be hard, and it can feel overwhelming trying to figure out where to start. Here are some immediate actions you can take so you are more in touch with your behaviors around food, and more connected to your values. ​Take 10 minutes and write out your values around health. Consider these questions: What does your health mean to you? What does being healthy provide in your life? Is there anything more important to you than your health? If so, why? ​Write out 3 Power words that encapsulate what your health means to you. Mine are Freedom, Wealth and Joy. If I am healthy and vital, then I feel free, happy and rich. Post your power words somewhere you can see them and connect to them daily. Every time you go out to a party, or on a vacation or find yourself stuck in a rut with food, your health and your weight, focus on these 3 words and their meaning. Set an intention for yourself when you know you will be in situations where you normally overeat, or feel uncomfortable and use food to comfort you. ​Continue to repeat CIA in your head; ​Commitment, Intention and Action​. By staying connected to these words, over time you will start to notice shifts in how you show up with food. This will help to bring you long-lasting results. If you "mess up," forgive yourself and move on. NO ONE IS PERFECT! ​I'm pretty sure that will feel a whole lot better than telling yourself you're a failure!